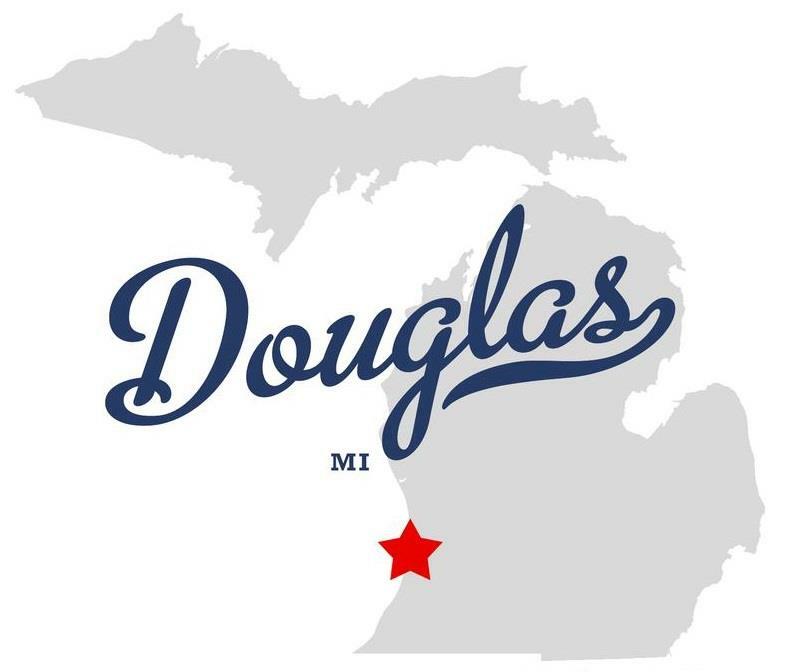 Douglas, Michigan are favorite summer vacation spots for many people from nearby metropolitan areas. Boating, fishing, spectacular sunsets, hiking, and a vibrant community of fine artists and restaurants create an ideal place for either family vacations, second home or quiet place to retire. The history that shaped the area still graces these picturesque villages with 19th Century charm and historic architecture. Artists have been drawn to the area's towering dunes, pristine beaches and jewel-like setting on Lake Michigan's eastern shore. 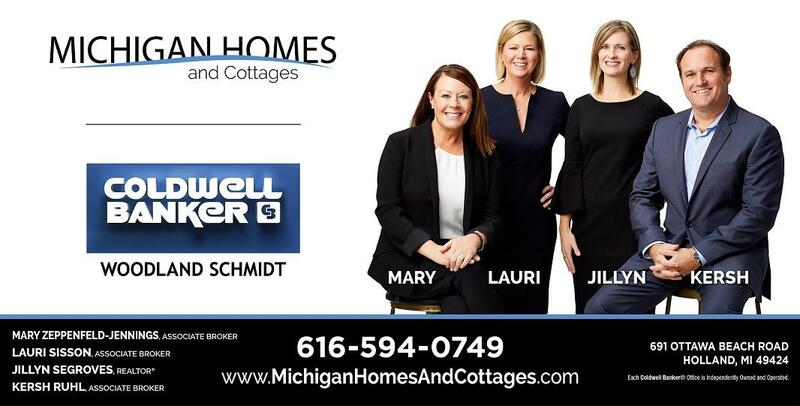 Southwest Michigan has many wonderful Lake Michigan communities. The history of Saugatuck and Douglas is based on the bounty and inspiration of the landscape. Forests and farmlands supported the economies for many years until entrepreneurial creativity and economic well-being afforded time for recreation in an around Lake Michigan and the many other Lakefront communities in and near Douglas, Michigan. Nestled on the edge of the Kalamazoo River at a point where the river widens briefly into Lake Kalamazoo and flows out to Lake Michigan, Saugatuck and Douglas have relied on the river for transportation and sustenance as well as recreation. Little is truly known of the Indians who lived here first beyond their tribal names: the Ottawa and Pottawatomi. The name Saugatuck is presumed to be of Indian origin. What are now the two communities of Saugatuck and Douglas began as a series of small settlements along the river. Place names such as Dingleville, Mack's Landing, Newark, Wallinville, Dudleyville, and Plummer's Mill are now things of memory. To the north, the settlement of Singapore, established to harvest and process the forests needed to rebuild Chicago after the great fire using Lake Michigan the waterway for transportation, provides one of the community's enduring legends. Now gone from sight, it is supposed that the dunes upon which it was built destabilized after the trees rooting them were taken for lumber. Coupled with an economic downturn, the settlement was abandoned. A number of Singapore's buildings, ferried on sleds down the frozen river, were repositioned in what is now Saugatuck. The real mystery of Singapore is why it was so named. Lumber related industry, however, continued as an important factor in the local economy. Baskets created for use in the burgeoning agricultural sector were filled and taken to urban markets across the "Big Lake" on boats built here in Saugatuck and Douglas. In the late 1800's, urbanites escaping the heat of summer in the city began renting rooms here. By the early 1900's tourism had become an important part of the community. The far side of the Kalamazoo river was dotted with summer tent camps and a summer camp established by the Rev. George W. Gray from Chicago (now the Presbyterian Camp). Regular visitors from as far away as St. Louis found their way here and remain an active part of our summer community and the Lake Michigan Lakeshore. Rented rooms and tents have been replaced by a broad selection of B&B's, hotels, and motels. In 1909, the Big Pavilion was erected. Outlined in lights powered by its own generator (the only one in the area), the Pavilion must have been a dazzling sight in an otherwise dark community. Its dance hall, a draw well into the mid 1900's was later supplemented with a movie theater showing first run films delivered by boat from Chicago on Lake Michigan. In 1960, the Big Pavilion, grown a bit shabby, burned in an historic blaze. The largely wooden community escaped devastation through a quirk of the wind that carried the blaze across the Kalamazoo river. In 1910, artists from the Art Institute in Chicago began offering painting classes and established a summer school on Ox-Bow lagoon (created when the river was rerouted in 1906). Since then, the area has attracted a great many artists and artisans, many of whom have made their homes here. The community is noted for both the number and quality of galleries here. In the past few years, an ongoing outdoor sculpture exhibit has been established adding a new dimension to the art that is so vital a part of the community.